The traditional Bank Holiday weather probably put paid to the usual large amount of visitors to the town so it was not surprising to see only a few coaches on Beach Coach Station this lunch time. An impressive visitor was Kings Ferry of Gillingham's Scania K400EB/Berkhof CH77DLT YT61GRX, a real eye catcher simply by the size of it!. 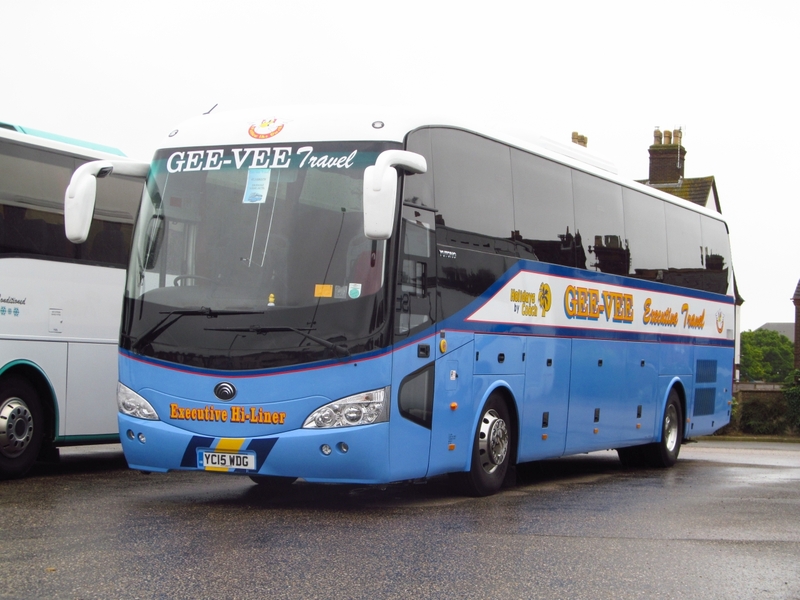 Gee Vee Travel of Barnsley are regulars to the town and their fleet consists mostly of Bova Futura coaches but today's visitor was their latest arrival DAF/Yutong DC12 bodied YC15WDG. 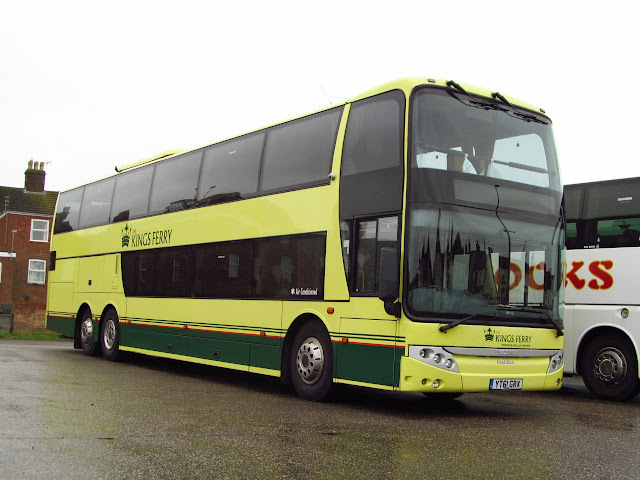 Yutong are one of the biggest companies in China producing both Bus and Coaches for all over the world. Nothing else much to note on a very damp and miserable lunchtime, it is August after all! Some forty five minutes passed and I was beginning to think I had wasted my time. 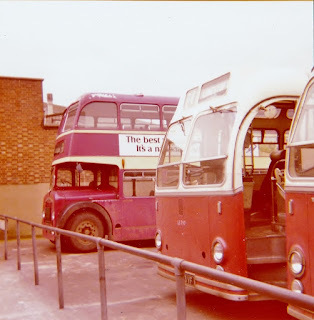 Then, as always, two of the buses arrived almost at once. The first photo is of former Jersey Dart 43863 EG52FFK bound for Burgh Castle. 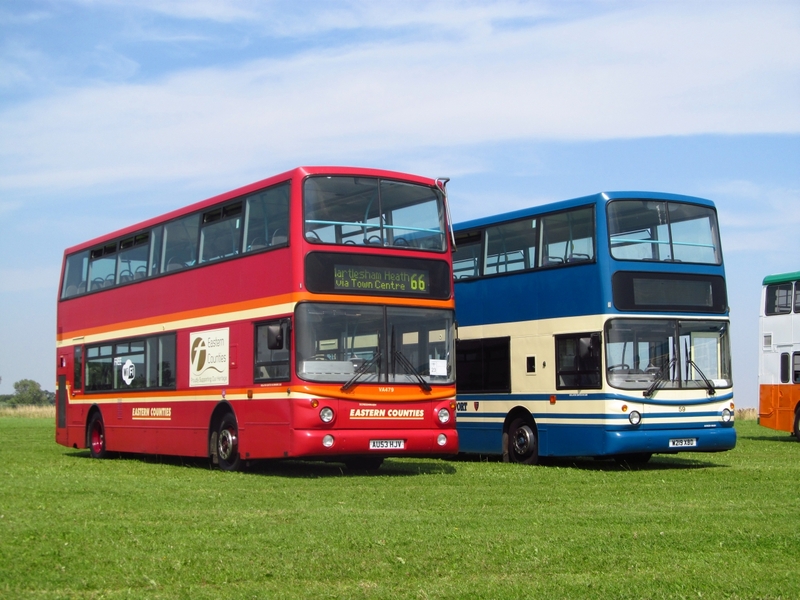 Both 43863 and 43861 (EG52FJA) will be placed in store at Caister Road tomorrow. As already reported, a recent transfer in from Norwich has been former Essex Dart 42921 EU05AUN and there has been speculation that its move may be temporary. However, the recent application of an all over rear advert for Great Yarmouth College appears to scotch that rumour! 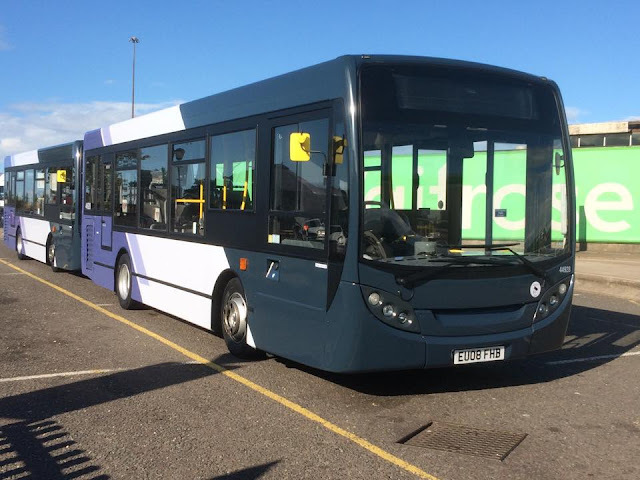 Two former Norwich based Enviro 200's have been refurbished at Rotherham and yesterday returned to their new home at Ipswich. 44928 EU08FHB & 45119 RT09JPT have gained the new Ipswich livery for use in the Town. 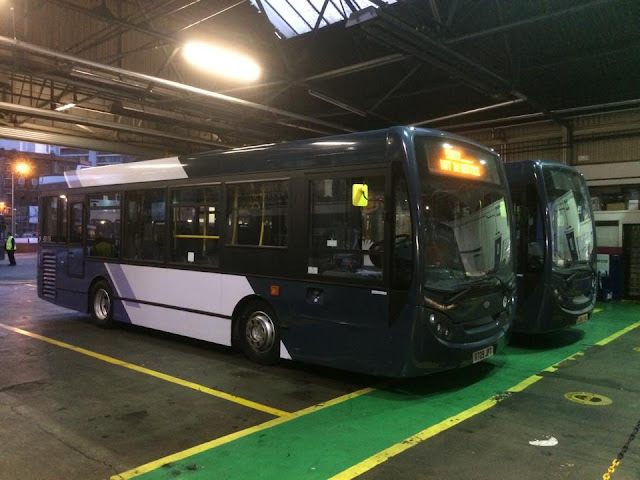 The two were originally at Lowestoft before moving to Norwich earlier this year where they were branded for Purple line services in the city. 44928 EU08FHB in its new livery. Eastern Counties still have a few vehicles at Rotherham in various states of refurbishment, ALX400 30888 W743DWX is due to gain Lowestoft Corporation colours but remains rubbed down awaiting its new look. 30888 & 33167 parked at Midland Road, Rotherham awaiting work. 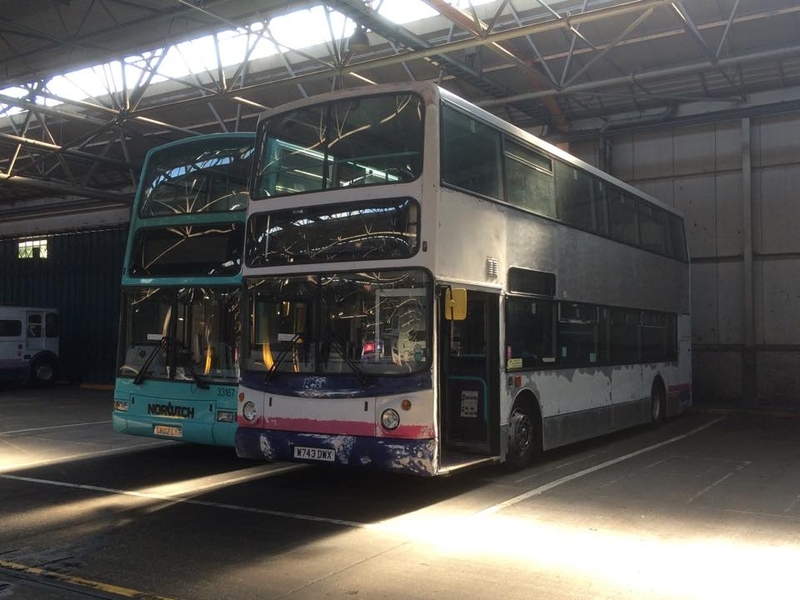 Norwich Tridents 32201, 32203, 33055 & 33167 are all in Yorkshire for refurbishment currently along with Coach 20514. 33152 returned to Norfolk this week in its new Purple line livery. 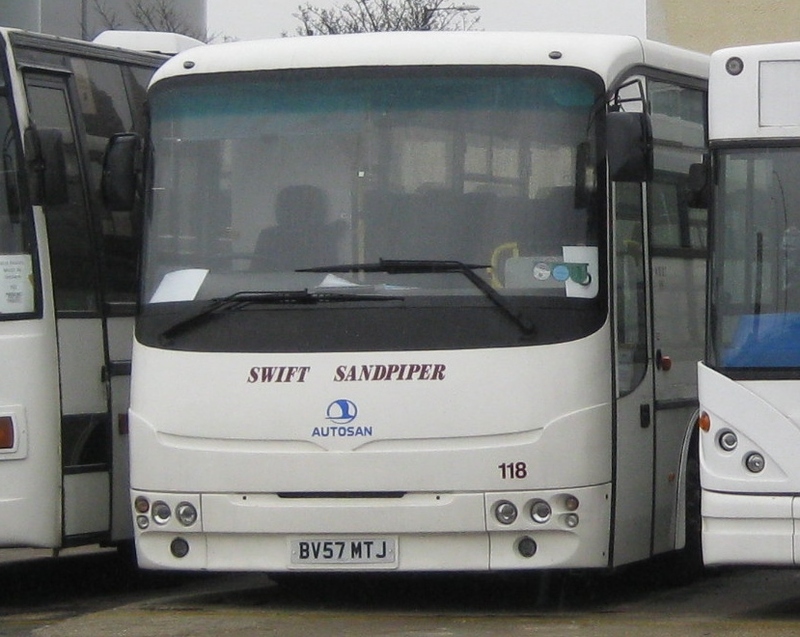 Three Volvo B7RLE's 66976/66978/66980 (tbc) are due to transfer to Norwich shortly from Ipswich. Many Thanks go to Joe Thorpe for the Photos he kindly sent last night and im sure our very own head of Ipswich News Jim Long will capture the new arrivals in service very soon. Also thanks to Danny for info regarding Fleet movements, more expected over the weekend also. 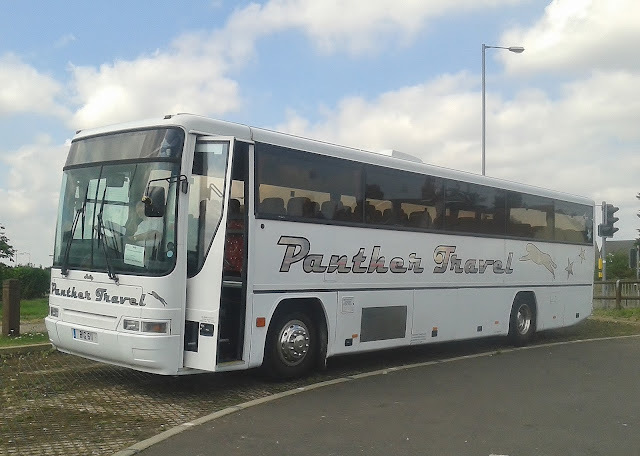 Panther Travel's Dennis Javelin/UVG BIG8796 was also parked in exactly the same spot as on Saturday! A Quick update today regarding the repaint/refurbishment programme for Norwich, 33055 LN51GKO has made the trip North to Rotherham today and returning home is 33152 LR02LXL which has gained the new Purple Line livery. 33055 was branded for Pink Line services in the city but will return in standard new livery after also having major roof repair work as well as the repaint. Hardly seems a year ago i attended this rally with Chris Speed and the first outing of Eastern Counties Heritage liveried ALX400 32479. This year my mode of transport was AEC Swift 85 WEX685M with Danny Beales & Chris Speed taking it to her first Rally since they purchased her a couple of months ago, included in the trip was a free cloth and the ability to give 85 a quick wash and brush up before we left! 85 was accompanied from Caister Road by GYT liveried ALX400 32059 with Mr. Speed Senior at the wheel. 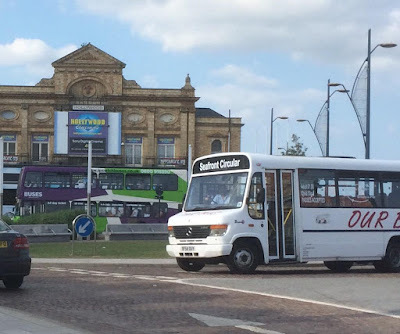 Nice to see Great Yarmouth represented at a local rally once again alongside a few Eastern Counties vehicles no strangers to the scene and not forgetting Leyland PBJ2F from Lowestoft complete with "I am not a Routemaster" poster in the window, explaining to the uneducated the difference in vehicle types! 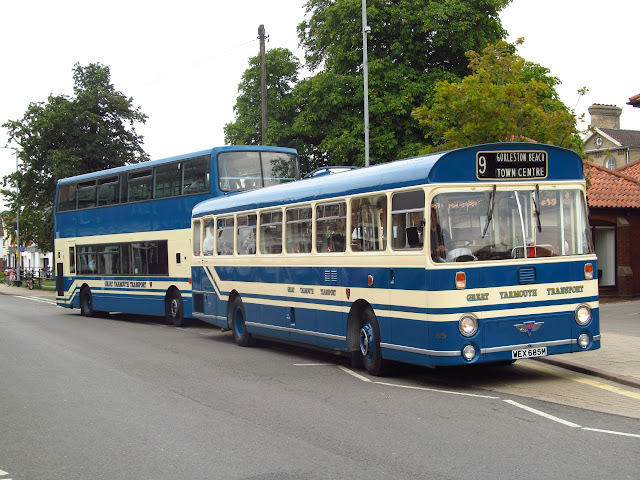 Plenty of familiar faces were around to chat with and a couple of trips around Attleborough were had aboard 85, the first trip was pretty much a full load and a lot of kind words for the appearance of the bus today. Another recent arrival to Norfolk was also on show today with RML SMK737F becoming the second of the type for Bus and Us from Melton Constable. 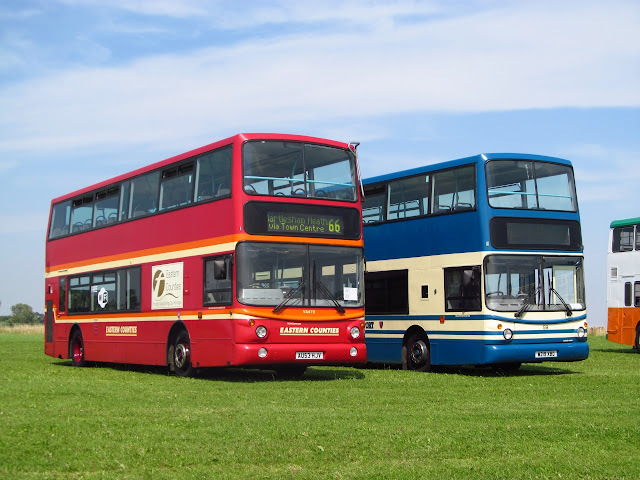 The usual array of preserved ECOC buses were also in attendance with current fleet member 32100 joining them from Norwich and 32479 from Ipswich of course!. Around Thirty vehicles were in attendance on the day with a wide variety of vehicles running the shuttle services into Attleborough Town Centre, some running along the old FEC X95/X52 route. I have too many photos to share here but will provide a link to my Flickr page once i have uploaded them. The day was finished off nicely with 85 being voted the winner of Best Vehicle on the day and the trophy was awarded to a very happy Danny & Chris! 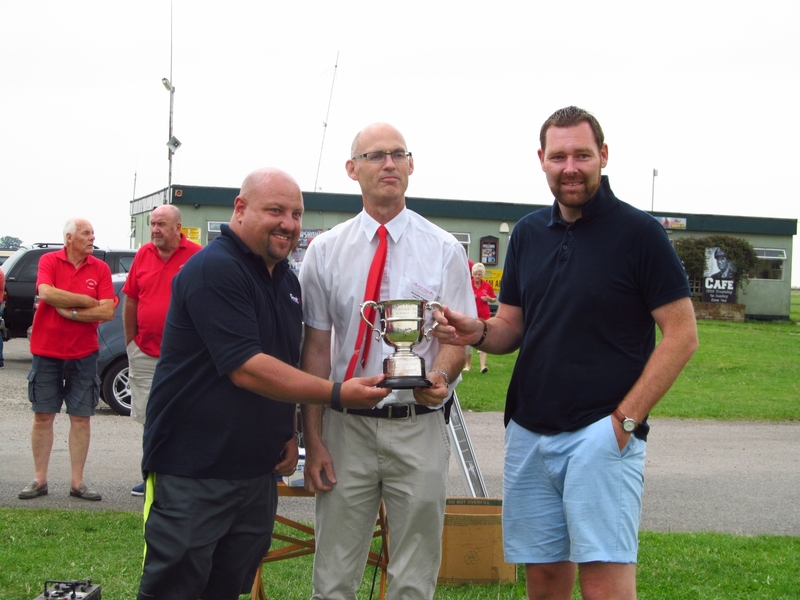 The winning owners receiving their trophy! Hiding behind them was the 'London Red Gemini' which was Arriva London's DW50 with its LJ53NGV registration. 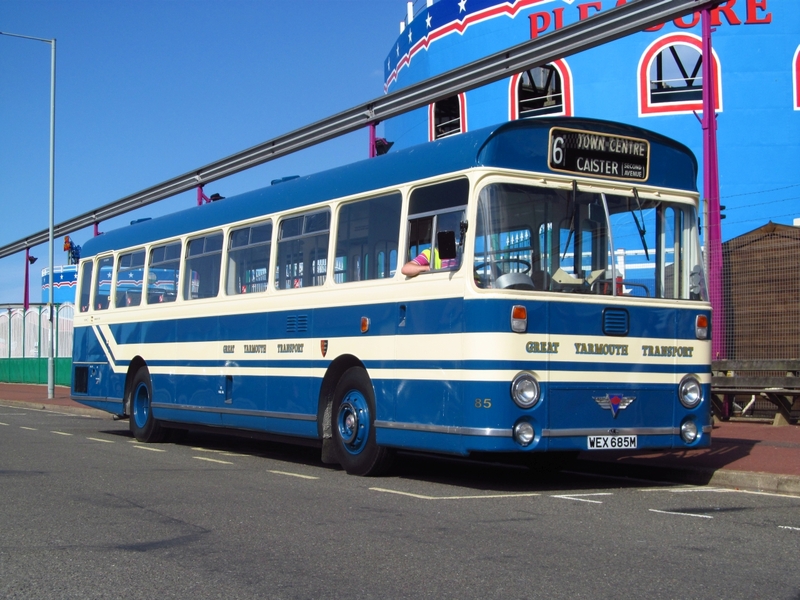 The Wright bodied DAF was new in November 2003 and was quite a distance from its usual haunts in the capital city but enjoying a day at the seaside. For some time now I have been trying to find the first photo that I ever took of a coach. 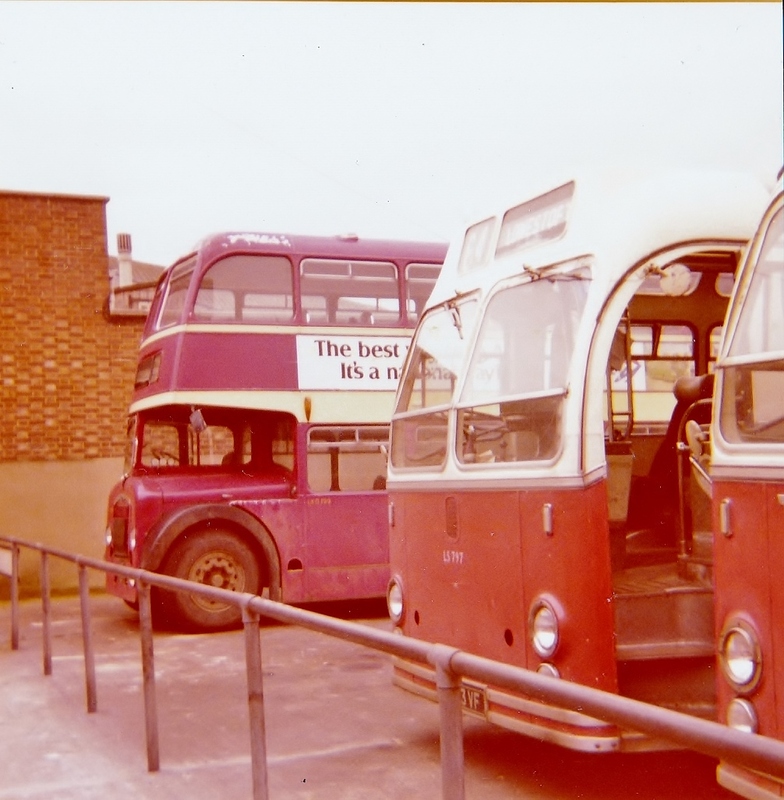 I remember it well as it was of 433FXX at the old Grey Green coach station in Great Yarmouth's Apsley Road - situated to the rear of the Tower Complex. It taken was with an old Brownie 127 camera and I was very surprised at how well the photo turned out! For the sake of completeness, I am providing an update on local activity occurring whilst I was away from the blog and very much engrossed in lounge decoration! The three active Volvo Olympians continue to give regular sterling service with correspondents continuing to provide many photos of them in active service! 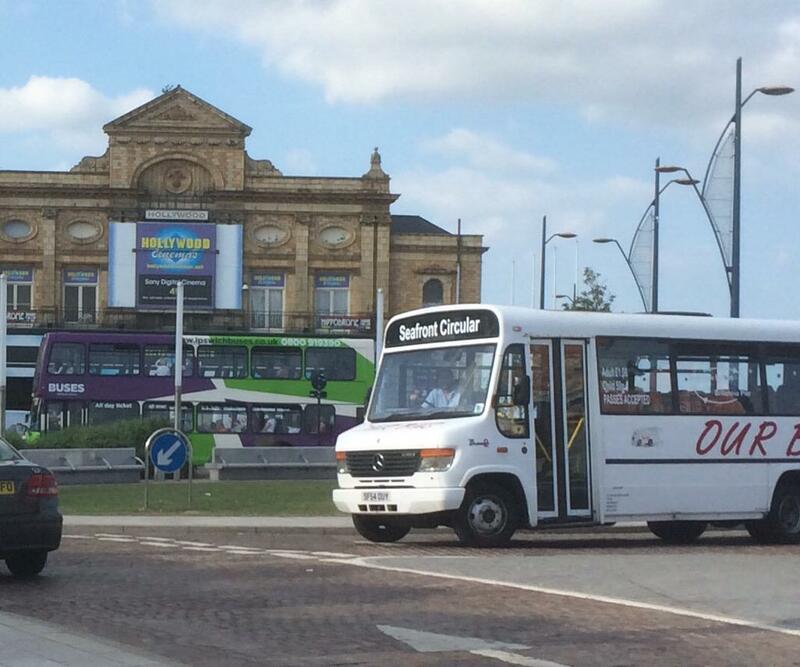 An Ipswich decker photobombs the picture of Our Bus Mercedes SF54OUY! My thanks to the blog's loyal band of supporters, including Jamie and Tim, who have kept me up to date with reports whilst I have been otherwise engaged! An afternoon out along Yarmouth Seafront with my children, Ice Cream, Amusements, The Beach then various inflatables to slide down, Good fun i hear you cry! 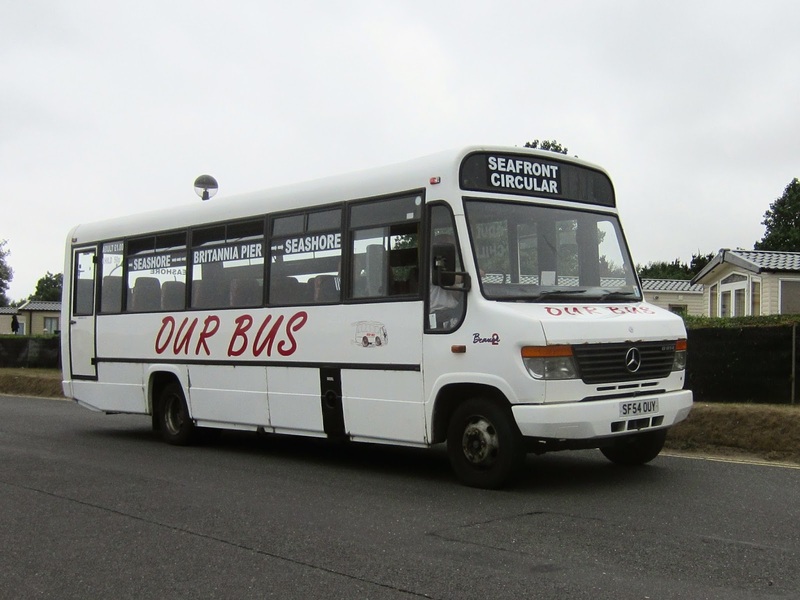 Indeed it was and the afternoon was completed with a ride along the seafront on Yarmouth Swift 85. I noticed her going along the seafront so a quick phone call to Chris and a few minutes later we were aboard. 85 parked alongside another Yarmouth Icon, The Pleasure Beach roller coaster! 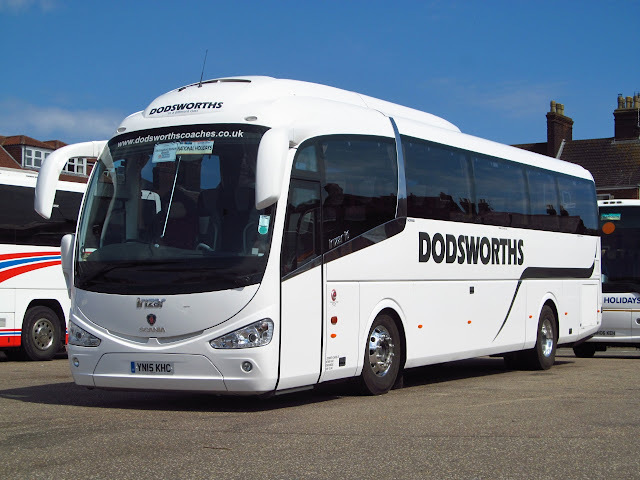 I also noted a brand new Scania Irizar I6 coach, YN15KHC belonging to Dodsworths of Borobridge, it appeared to be working a National Holidays contract excursion for this area. Thanks to Chris and driver Kenny for the seafront excursion, the next trip out for 85 is the ETC Rally at Old Buckenham next Sunday. 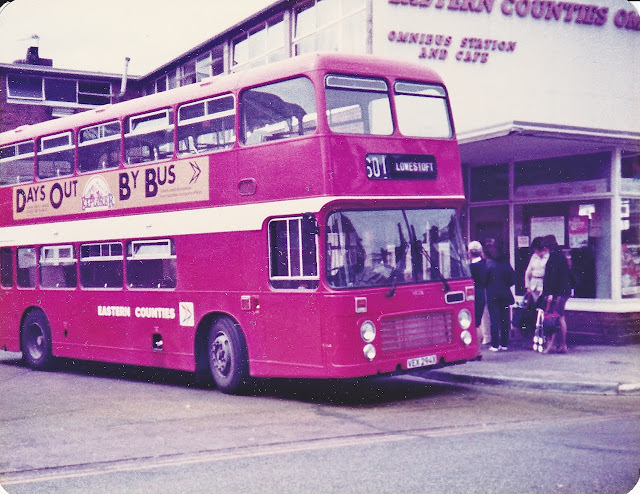 The first photo shows ECW bodied Bristol LD5G VVF199 in its last months of service at Lowestoft's Eastern Counties Bus Station. 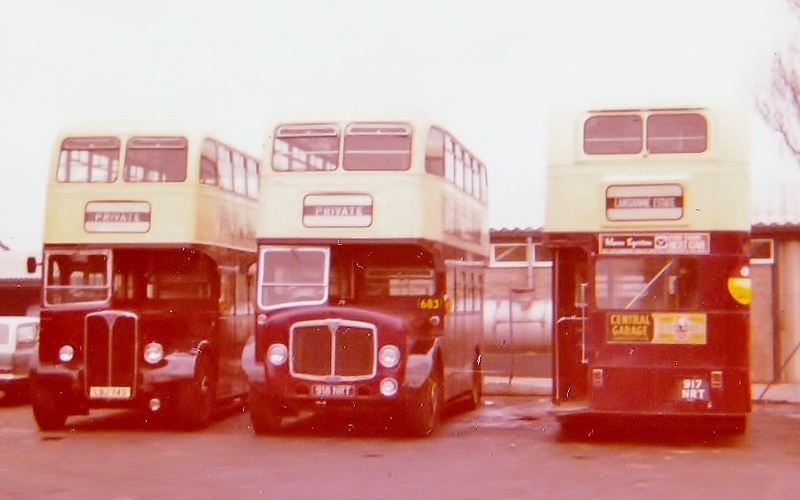 Classified by Eastern Counties as an LKD, it is seen parked next to two Bristol MW5Gs - the middle bus being LS797 4823VF which was also in its last year of service. 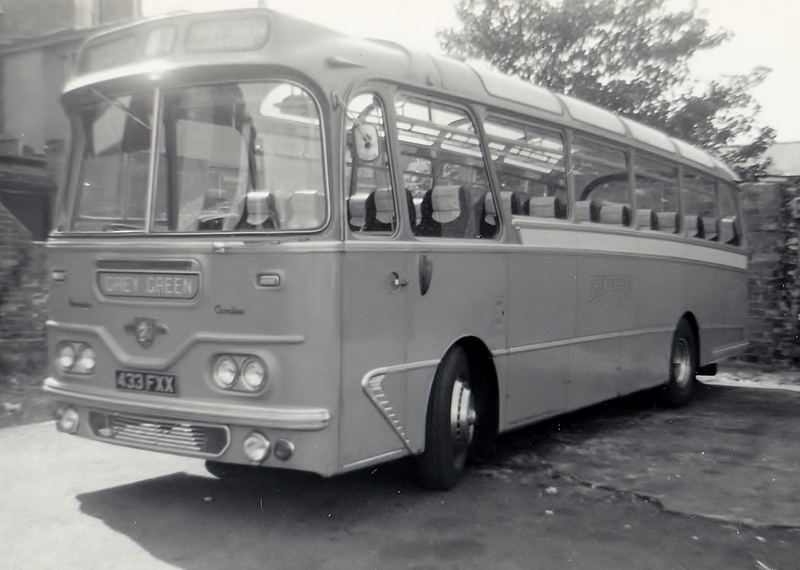 The decker was new in January 1958 and last worked a 602 service. The LS arrived later in May 1961 although both eventually ended up at dealers in Barnsley. 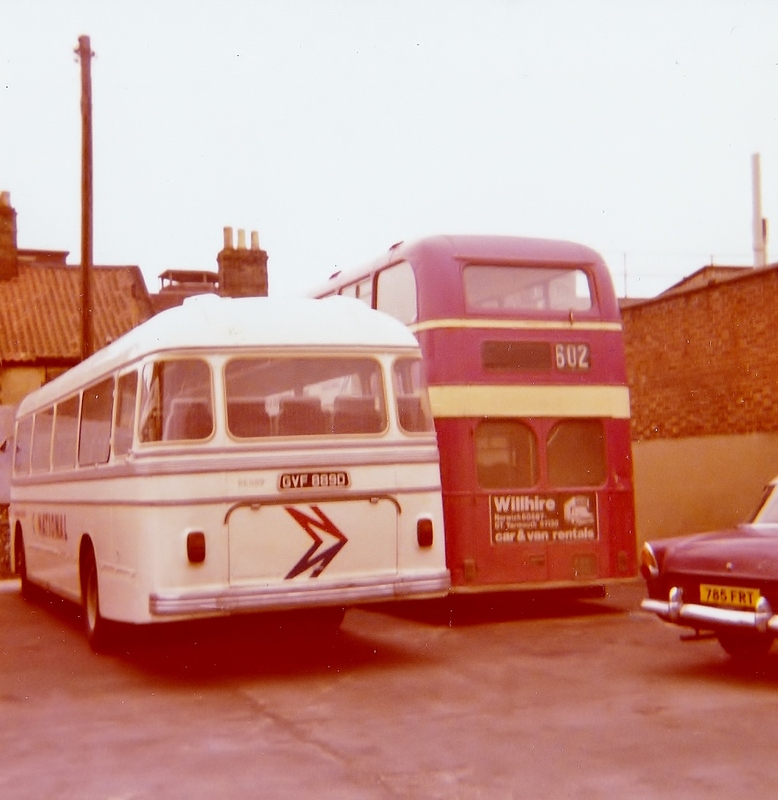 Hanson Express Coaches operated from the Huddersfield area and the name was once synonymous with holidays for Huddersfield people. The company was an off-shoot from the well-established Hanson haulage company which took thousands of holidaymakers all over the UK and also to the south of France. 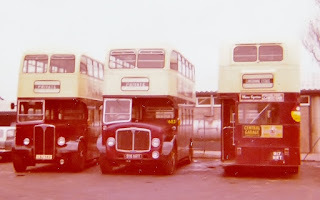 The fleet started with sharabangs in the 1920s, 30s and 40s and grew during the 50s and 60s Hanson also ran single decker and double decker buses in Huddersfield under the Huddersfield Joint Omnibus Committee until 1969 when they became part of Huddersfield Corporation Transport Department. In 1974 the coach company became part of West Yorkshire Passenger Transport Executive which was subsequently sold to coach firm Abbeyways in 1979. Catfield based Craskes Coaches has taken delivery of a brand new vehicle in the form of a Youtong bodied DAF. 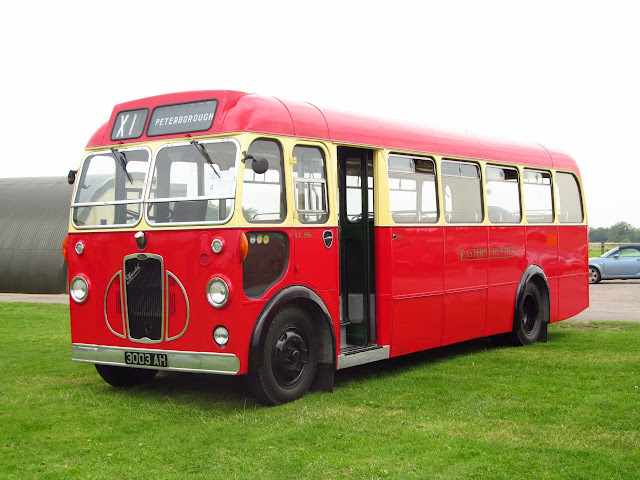 Registered YC15WDJ, it has 51 seats, air conditioning, toilet, hot and cold drinks facility, DVD player and, of course, 3 point seat belts. It is being fitted with cruise control and is intended for use on the David Urquhart contract; plus private hire when required. Coach Services' deckers also put in an appearance - former Stagecoach London Scania N230UD Omnicity LX59CPK and Wrightbus bodied Volvo B9TL CS63BUS. Refreshing to see the driver waiting for me to get into position for the photo! Regular blog readers will have noted a slight fall in the number of posts in the past week or so. This is due to redecoration of the lounge compounded by a short break away. Needless to say the decoration is close to completion so the blog will soon benefit from a little more of my attention! 99 to Kessingland has minor time changes with the 99A journeys no longer serving the South Lowestoft Industrial Estate. The Sunday service is withdrawn. 101 to Gunton and Hollow Grove is unchanged. 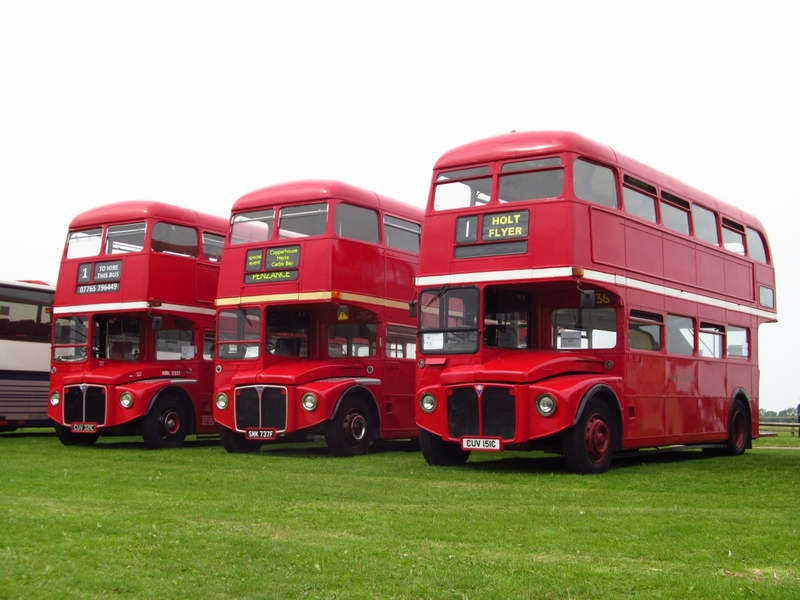 102 to Oulton Village now departs Gordon Road at 15 and 45 minutes past each hour during the day. 103 to Carlton Colville is replaced in part by service 104, which operates hourly between Lowestoft and Lansdowne Road only. There is no longer a direct link between Carlton Colville and Pakefield. 105 to Oulton Rock is unchanged. 106 to Burnt Hill no longer operates at peak times. 111 to Carlton Colville operates as a one way circular service using Castleton Avenue outbound and Secrets Corner towards Lowestoft. There are some time changes. 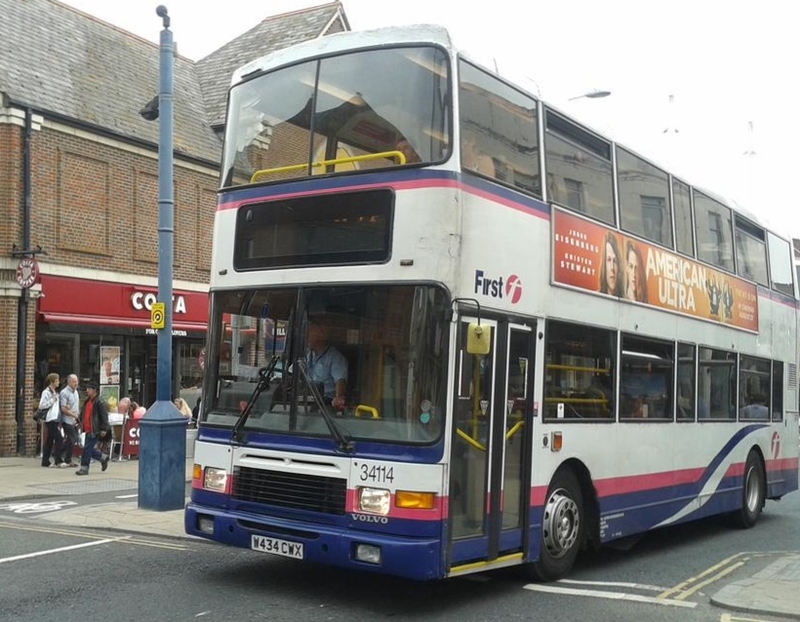 122 to Oulton has several journeys up to 1900 and a Saturday only journey from Lowestoft at 2300. 123 to Carlton Colville is withdrawn. 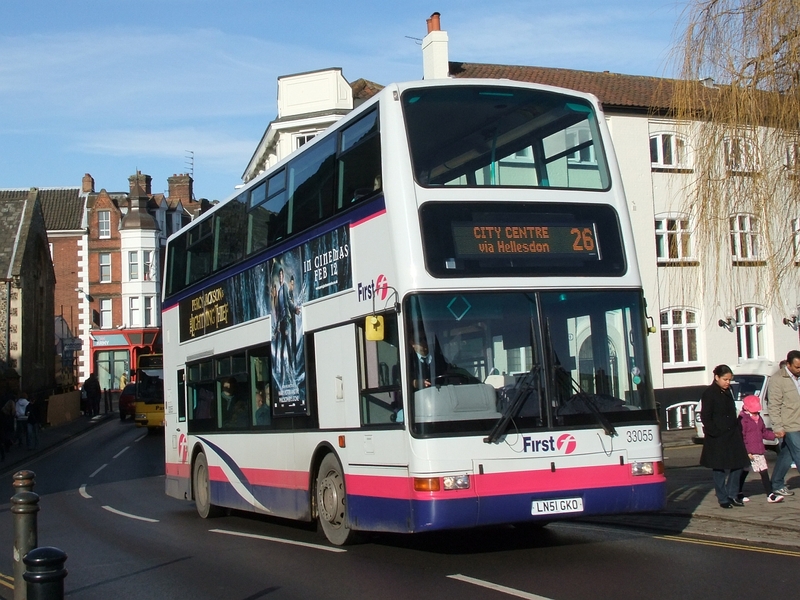 X2 has new Saturday evening journeys at 2015 from Lowestoft to Norwich and 2145 from Norwich to Lowestoft. The 0640 journey from Lowestoft to Norwich on Saturdays now departs at 0635.